Spare a thought for the F.A Cup today. From this day on, the quest for that trophy will never again be played in part at White Hart Lane. And presuming shiny metal things have feelings, it must be heartbroken. And the feeling is mutual. Back when we weren’t what we are now, or what we have been before, when we were just top half finishers with a so so squad, we were labelled as JUST a cup team. Yea we might spend the season switching between 8th and 12th but we always had the cup to look forward to because that’s who we were. A cup team, that no mater how we were doing in the league, every fan held on to the belief that this year we could win the cup. We have always had a bit of a love affair with the cup. History permits us to be excited by it. Eight times that trophy has been under our safeguard at White Hart Lane and each winning side has done it with the flair, grace and gusto that cup deserves. The way that defined us for a time as that team that could win a cup. It's where we started as a club. We were, after all, the first and only non league team to win it, and in a very special year (1961) we took it home with us along side the league championship trophy. In Recent Years, When other teams have used it as part of a training regime and were using the cups to play their young talent or to give players a bit of match fitness, we have always taken the competition seriously and treated it with the respect it deserves, yet in recent years it quietly demands. Because she was our first and we have fought for her every time she’s had her head turned by another; and because of this, she has paid us back with some truly historical and memorable moments along the way. 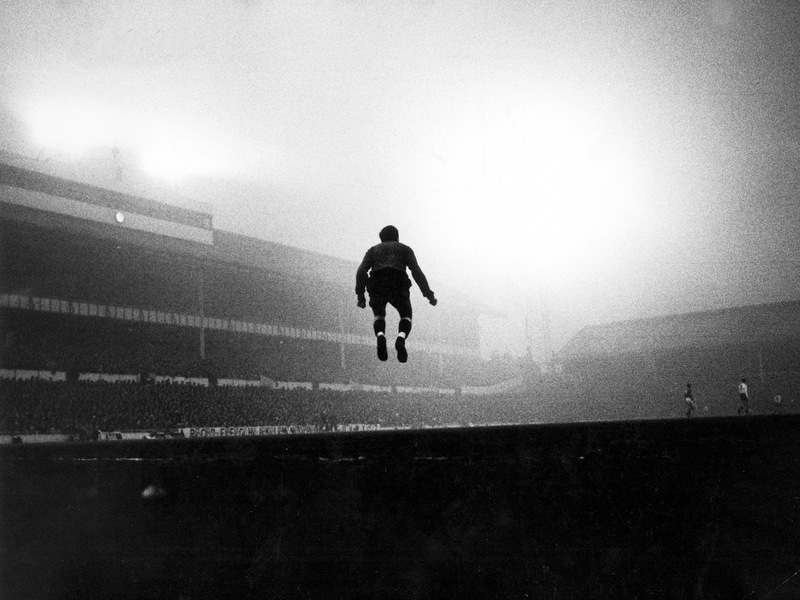 In 1960 White Hart Lane gave the cup a 15 goal beast of a game, beating crew 13-2. In 2004 we gave the cup our own upset as we lost 4-3 to a 10-man Manchester city, despite being 3-0 up at half time. Not all memories are good from our fans perspective, but in terms of adding magic to the reputation of the cup, games at White Hart lane have added it in abundance. Two meagre, contrasting examples in a much greater pool of great cup moments at the lane. I could list them all (or most) but that’s the point. They are there for you to find and discover and they always will be. You go look for them and you re-live a wealth of great moments WE have provided for this competition at White Hart Lane. These aren’t just great moments in spurs’ history, these are some of the greatest moments in F.A Cup history. Anyone who google's the greatest moments in F.A Cup history will find White Hart Lane as a staple venue. As a club and as supporters, those moments are cast in stone as the lights start to fade on White Hart Lane, and will always be attached to this competition. Playing a cup tie at the Lane, being home to Tottenham Hotspur (the club everyone loves to hate) has been a real medal of honour, a once in a lifetime for fans and players across every league in this country. When other clubs have, at times treated it like a nuisance, a throwaway competition that’s just about worthy of there youth ranks, it returns to the lane and we treat it with all the excitement, urgency and importance of a big completion. Like a scared child we embrace it, give it a kiss and cuddle and say “don’t worry your home now”. The cup must love the comforts of the lane. Showcasing it for what it is, Its been the roundhouse, the coliseum to play the big games. Against a big cup team like spurs. The atmosphere has always been and will always be remembered as one of the most electric in any stadium in the country, and to a Mllwall, a Crew or a Wycombe we have given them cup ties they will never forget at our home. And because of that the magic of the cup has kept shining. And now, for the time being, it looks as though we will be cozying up and spending next season at its own (newish) historic home. A fitting act between theses two old romantics. So, as we bid it farewell from White Hart Lane, we do so knowing it shall be looking back at its times there, with fond memories of great moments past. As the shine of that great trophy dulls a little because of it, we can take pleasure in the fact that it is only temporary. For as our new fortress gains further height everyday, we can look forward to our home, hopefully like our new future, being greater than that of our past. And we get to start that love story all over again..